McALLEN — Founded in April 2016 as a means to offer support to home-schooling families of the Rio Grande Valley, the RGV Homeschool Outreach Liaison has grown in membership and in programs offered. This May, the coalition brought guest speaker Nathan Macias from the Texas Home School Coalition to “bring about a healthy awareness” of the non-traditional educational path. 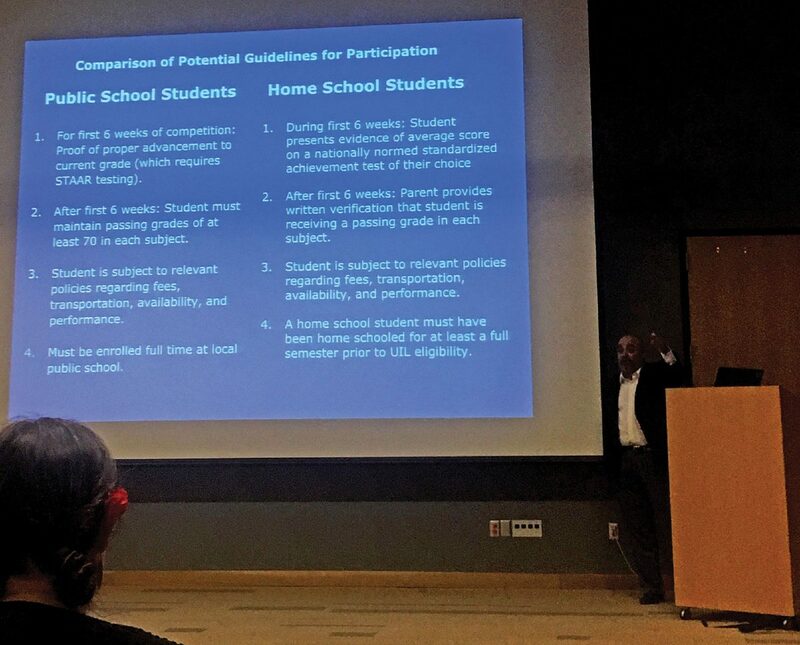 In a presentation at the McAllen Public Library, entitled “Homeschooling and the Law,” the San Antonio native and former member of the Texas House of Representatives shared the resources offered by the THSC. Dozens of current and prospective home-schooling parents and guardians attended to ask questions and learn about the benefits. While requirements for home-schooling vary state to state, Texas operates with fewer regulations than most. To home-school in the state, students must receive a curriculum in math, reading, spelling and grammar presented in visual form. In a discussion after the presentation, attendees volunteered reasons for why they chose to home-school, which ranged from concerns of large class sizes in public schools to the pace of curriculum being too advanced or underdeveloped for their child. An estimated 320,000 students are home-schooled in Texas, according to the THSC. Serving in the Air Force and moving nine times over the course of 20 years, said Macias, is one of the reasons home-schooling worked best for his lifestyle and that of his seven children. One attendee shared her experience home-schooling her special needs child, who was once enrolled in a public school. After noticing he was being isolated from the classroom, the mother said she decided to take his education into her own hands. The THSC is a nonprofit organization founded in 1986 as a political action committee. Through the proposal, and sometimes passing of bills, the coalition maintains a network of communication among leaders from regional, local and individual home-schooling organizations or families. “Having a single Texas Home School Coalition that helps fight for all Texans … it’s been a great thing,” Macias said. Across the nation, 34 states allow home-schooling students to participate in UIL activities. Texas is not one of them. In a proposal titled the Tim Tebow Bill, the THSC is pushing to have this freedom incorporated into Texas schools. Otherwise, participation varies district by district. Several mothers from the local liaison shared what a difference the support has made for their children and themselves. Self-doubt, many agreed, has been their biggest obstacle. When the case arises, said Macias, one should remind themselves of the “greater picture” and their reason for home-schooling. Sarah Mendez, administrator for the liaison, and other members organize monthly educational activities involving science, art and physical education. Mendez has two children she chooses to home-school. Another activity the RGV cooperative hosts are graduation ceremonies for elementary-aged children. Ranging in age from 16 to 30, he shared how his children — all home-schooled — have come into their own and found their paths. One is a photographer, another in law school.